It is not new to travel, and to write what you see. Only the other week we were all marvelling at those Ancient Greeks who had a list of wonders everyone on a Grand Tour of the known world must see. And I have more than once remarked on the reportage which exists from far-flung corners of the world, written about by learned men from the civilised nations of their time. Like Ibn Fadlan, for example, an envoy from the Caliph of Baghdad, who took in a Viking Funeral on his visit to the Volga River; Marco Polo, who in 1275AD furnished us with an incredibly detailed description of Kublai Khan’s Park, filled with marble palaces and stocked with game for hunting. Or Richard Twiss who crossed revolutionary Paris in the summer of 1792; or Charlotte Bronte, and her visit to Crystal Palace in 1851. This last is such a curiosity that I must pause before walking on to the next attraction. With more than 800,000 square feet of floor area and over eight miles of display tables, Bronte was quite overcome by the magic of this particular wonder. But let us walk on. Travel writing became more commercial and indeed widely available with the advent of the peerless, practical and pragmatic Baedeker, the German company which realised that specifics could charm the travelling public by means of anticipating the the unknown. There are tales of Karl Baedeker, the company’s founder, visiting Milan Cathedral and depositing a pea on every twentieth step of the staircase to the roof: the better to count the steps for the travellers whom he so meticulously advised. But have we lost just a little of the magic since then? Who can forget the Room With A View Baedekers, which ruled Victorian itineraries with a rod of iron? 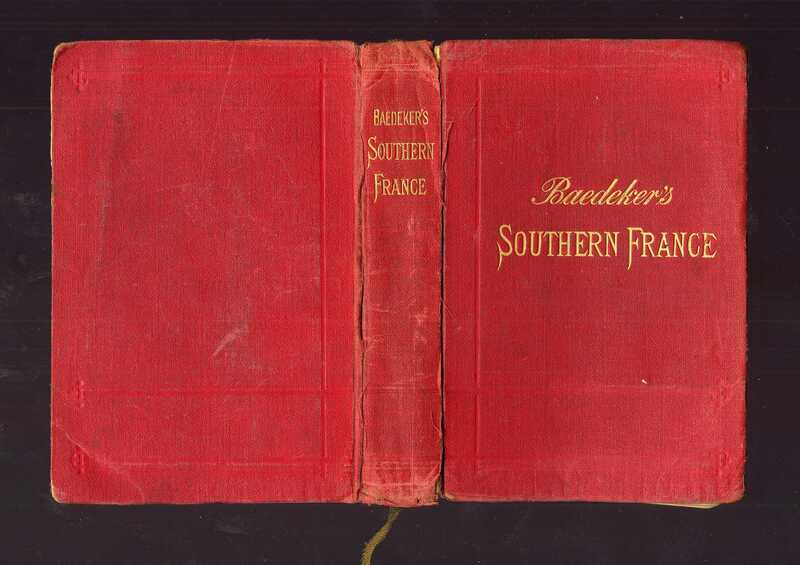 Emancipation from the Baedeker was a symbol in the pages of EM Forster’s book for the kind of sensual freedom for which the spirit longs. Travel writing needs its corsets off to be really, truly liberating. Which brings me to a capital piece of luck I have had. You will recall me bewailing my lack of knowledge of architecture. And indeed, musing wistfully that there was only one person who could possibly help me compile a list of the world’s true wonders. The man I felt sure could help is an accomplished architect himself,both a lecturer and a practitioner, with substantial projects under his belt. He practices what he preaches, and there is proof both in bricks and mortar, and in the annals of the media of the South Carolina city which perches on Oyster point, Charleston. I wrote the post speculatively, knowing that architects such as this one are accomplished and busy. But he has, generously, offered to do so: not in just one post, but in seven. Over the next seven days, MTM, the partner of author Andra Watkins, will be writing on seven of his wonders. Parts you will find here, parts on Andra’s blog here. He will cover the places other people won’t – necessarily – tell you. Like the ones in one of my favourite of Andra’s posts, here. I’m so excited, It is all I can do not to get the travel agents on conference call. Thanks, MTM. Posted in MTM's Seven Wonders, Places to visitTagged Andra Watkins, architecture, MTM, seven wonders of the world, travelBookmark the permalink. How exciting! Thank you for inspiring him. “Travel writing needs its corsets off to be really, truly liberating.” Amen! Oh My Goodness!! Double Barrel MTM for a week, will my eyes survive the techie, concrety sights. yes, I know “concrety” is not a proper word, just my little protest of the minimalist concrete jungle that will now appear on my two favorite blog sites. I am filled with anticipation and looking forward to those posts, TY! I just read about this over at Andra’s!! Can’t wait for this series to get underway. He won’t even let me peek, Kate. This will truly be a surprise for us both, and I’m so grateful to you for inspiring him. Kate, you really are a master persuader/ inspirer! It is like school is back in session. I suspect I am about to actually learn something! Dear Kate, this is exciting. Thank you for taking us on this journey to what’s happening in today’s architectural world. Peace. Just catching up with my blog reading now Kate so I shall slip my corset off and dive into these next architecture posts. Thanks for setting it up. Brilliant idea Kate! Can’t wait to get to those posts!